Hot off the grill! Extra Lean Steak! 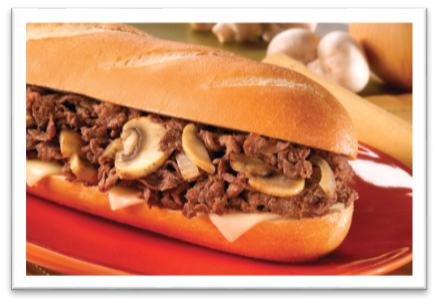 Create your own Customized Cheesesteak! 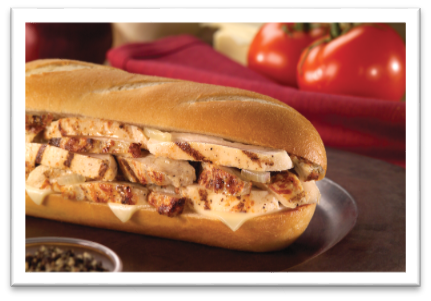 Grilled extra lean steak plus your choice of cheese: white american, provolone, and pepper jack. Grilled extra lean steak, grilled onions and white american cheese. Grilled extra lean steak and white american cheese. The Original with lettuce, tomato, olive oil, and oregano. The Original with grilled mushrooms. Grilled breast strips, grilled onion, and white american cheese. 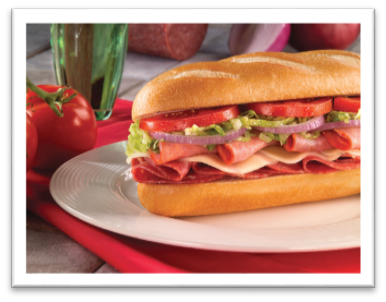 Stacked italian ham, genoa salami, provolone cheese, tomato, lettuce, red onion, olive oil, and oregano. 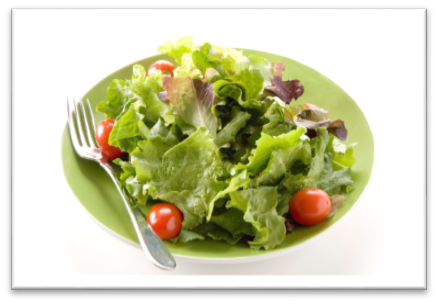 Grilled breast strips, tomato, lettuce, red onion, mayonnaise, olive oil, and oregano. 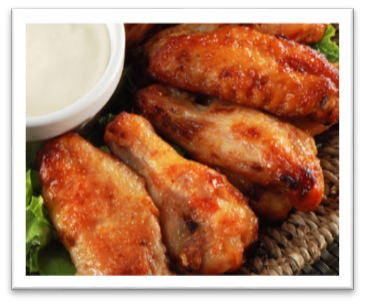 Served with celery and blue cheese or ranch dressing. Lightly breaded, boneless fried chicken. 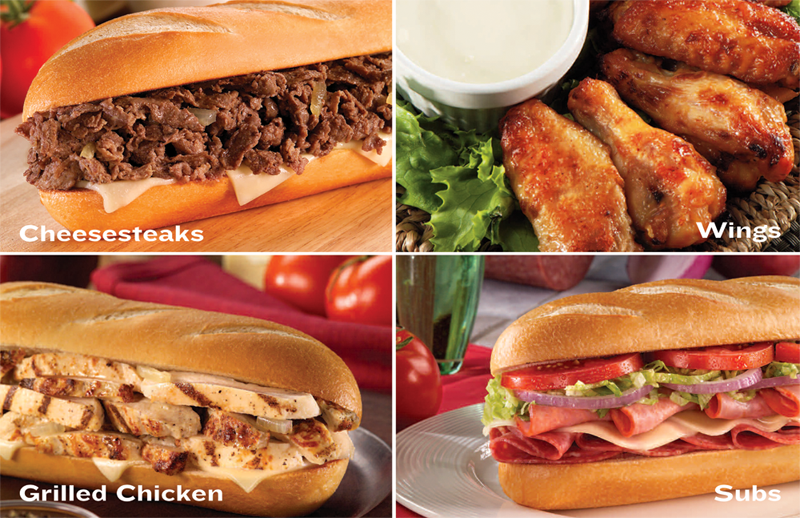 Choose your meat: Grilled steak, grilled chicken strips, chicken tenders, turkey, italian meats. Choose your cheese: White american, provolone, pepper jack. Choose your dressing: Blue cheese, ranch, fat-free ranch, lite italian, honey mustard. 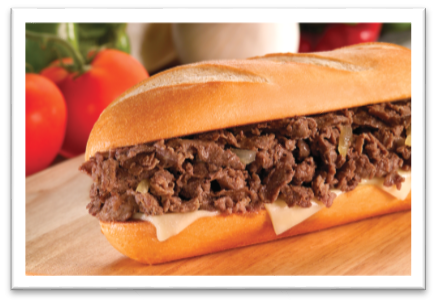 Philly Connection® serves authentic Philadelphia Cheesesteaks, Chicken Cheesesteaks, Italian subs, wings, and more!!! We are dedicated to carefully preparing the most delicious, freshly-grilled Cheesesteaks, and HIGH QUALITY INGREDIENTS in the foodservice industry! It takes a chef extraordinaire to combine common day-to-day ingredients in an uncommon fashion and create a dish that becomes synonymous with the city or province of its origin. If its appeal is universal enough, it becomes a culinary legend. Some 95 years ago, such a miracle happened in depression-era Philadelphia. 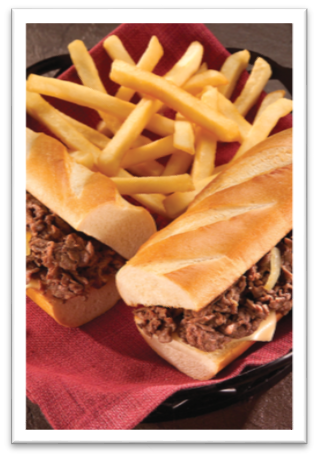 The cheesesteak sandwich was born, destined to be recognized in the United States and internationally as a most adaptable steak product. What is a real cheesesteak sandwich anyway? There’s the roll - the mandatory Italian roll with its golden smooth crust, light and just a tad moist. Piled inside are wafer-thin choice steak slices that are placed on a hot grill and sauteed in its own juices for 100 seconds. Say cheese - and you’ve gotta say cheese - and on comes your choice of white American, Provolone or Pepper Jack. ExTRA! ExTRA! There’s a host of cheesesteak garnishes - the most popular of which are grilled onions, mushrooms, pizza sauce, sweet peppers, or dressed to kill with hot peppers. We offer a variety of sides, extras, and desserts to top off any meal!